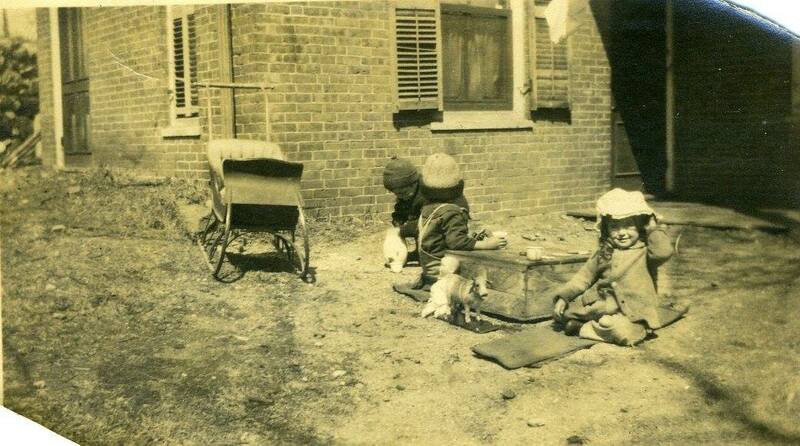 Winn children and friend playing at the house at 146 Mystic Street. Barbara & Arthur identified as two and possibly a “Johnny” or “Tobin” as the third. Nina lived in this house until 1911.